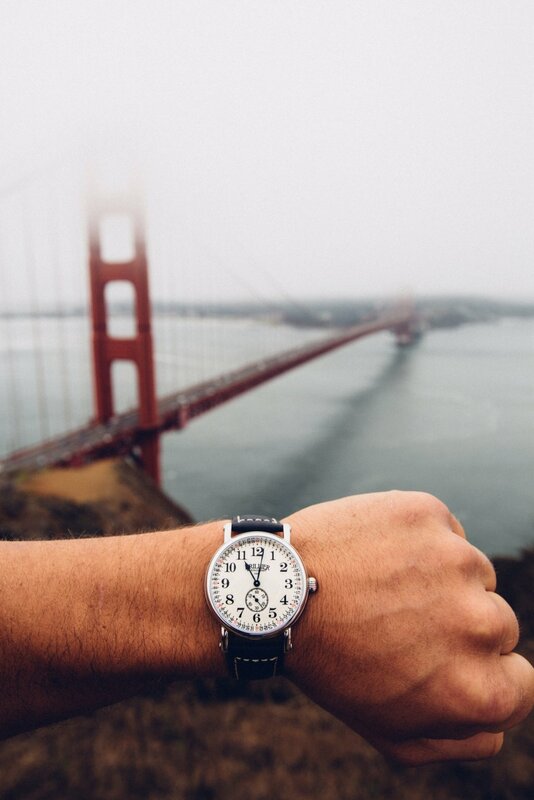 The Brillier Watch Company is a brand from the US, Arizona to be exact, that takes a big pride from designing and manufacturing their watches in the USA. 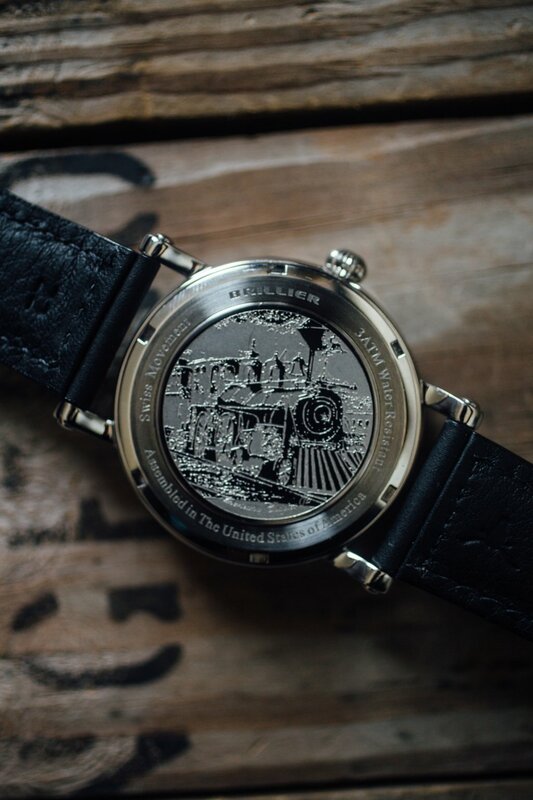 The Chapter 2 of the Americana collection pays a tribute to the railroad pocket watches used in the era of the American railroad system creation. The railroads were the most important shaping factor of the American history. One of the biggest dates in the railroad history was May 10, 1869: The Union and Central Pacific Railroads joined at Promontory Summit, Utah Territory. That day, the East and the West united. To mark this significant moment, Brillier Watches released the Chapter 2 East and Chapter 2 West watches. 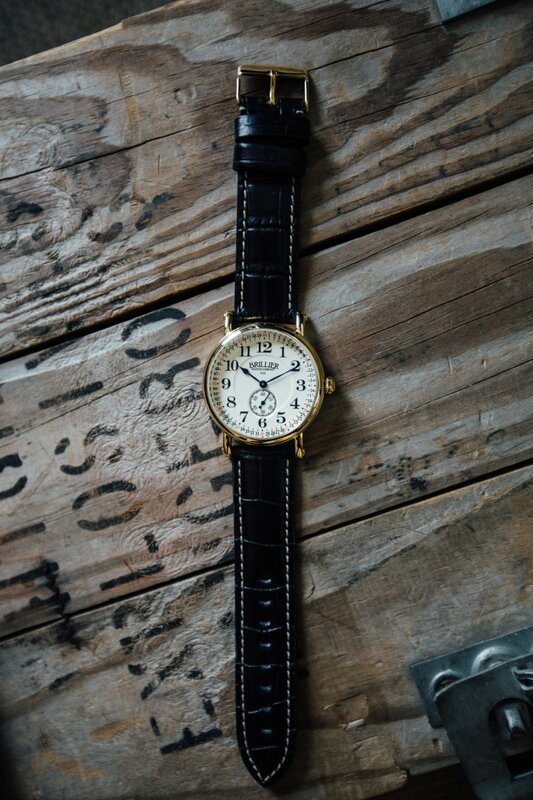 The Americana collection comes in a 43mm diameter round case. The case is manufactured in steel or gold PVD steel with mirror polish finishes. The classic case shape is completed by a beautiful onion crown. The watches have a good wrist feel and look. The Chapter 2 watches were inspired by the railroad pocket watches of the 19th century and incorporate the regulations for watch dials and hands of that period, also referred to as “The Railroad Standard”. The timepieces come with a gorgeous double sunken ceramic dial. This allows an excellent separation between the functions of the dial, like the small seconds’ indication. The Chapter 2 East has big Arabic numerals as hour indexes. For the minutes, it is used an outer scale with Arabic numerals for each minute. For an increased visibility, every five minutes the index is printed in red. The small seconds sub-dial is printed with individual indexes for each second. The readability is excellent – a crucial factor for the correct train timing. The gold PVD case and the ceramic dial with big red hours’ indexes of the West watch makes a great impression. The Chapter 2 West is another example of that great era’s design. The hour indication is done with big red Arabic numerals on a smaller inner scale. The minutes have the same placement on the outer scale, but feature indexes and Arabic numerals. The seconds also feature indexes for each second, as the East timepiece, with another printing layout. An important aspect, a detail that has our great appreciation, is the usage of the correct, period specific materials. 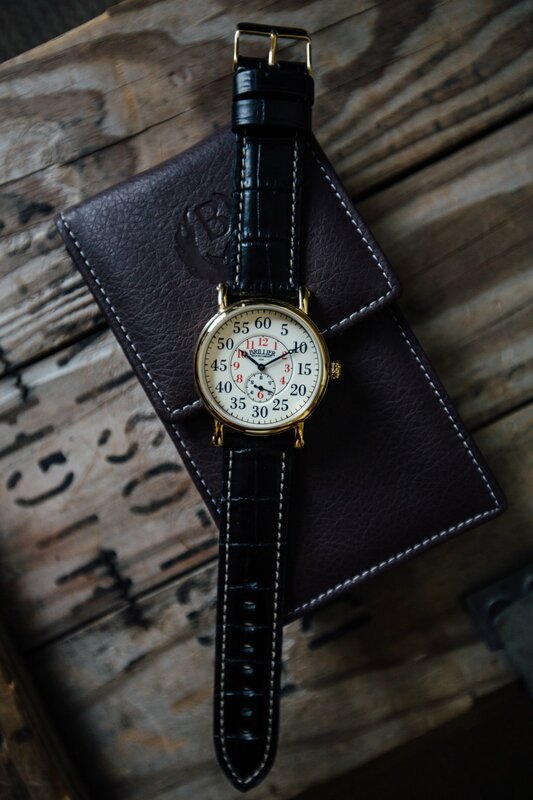 The Brillier Americana Chapter 2 watches are powered by a Ronda Swiss 1069 quartz movement. This 15.30×18.20 mm movement is solid and reliable offering up to 24 months battery life. But even in the unfortunate event of a malfunction, this movement is repairable. This will guarantee a long, happy life of the watch. The East and the West are fitted with beautiful leather straps produced by one the largest North American manufacturers of leather accessories. There are two versions available: a charcoal coloured strap with a crocodile embossed pattern and matte black strap, both from genuine calf leather handmade in America. The Brillier Americana Chapter 2 West is amazing. 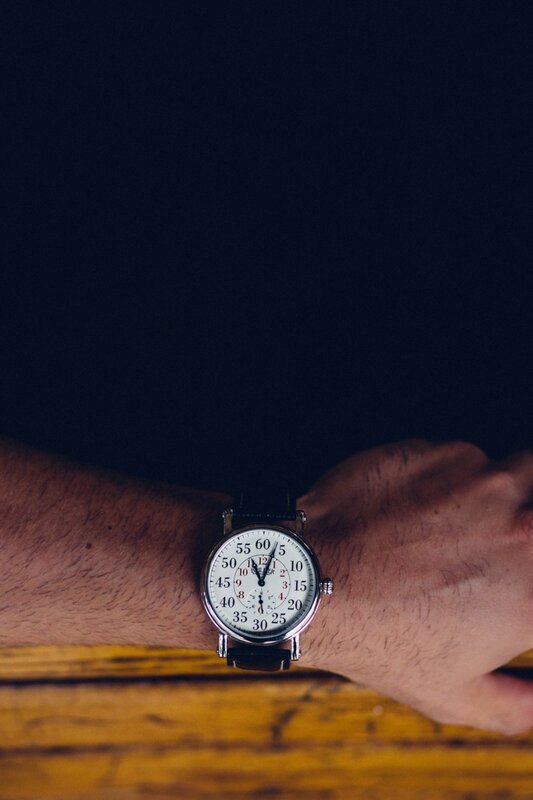 The pocket watch inspired dial in a modern 43mm case is a winning combination. Each Brillier Americana Chapter 2 watch is designed, hand assembled and tested in the United States of America. The timepieces are limited to 100 pieces for each version and have a price tag of $295 at the moment of writing this article. More information can be found on the Brillier Watches Website. Iam so excited I just ordered one of these special railroad watchs. I love trains and watchs. This watch brings my two loves together. I just turned 70 years old. And I treated my self to one if your watchs. I am watching get the mail daily.